Anita O’Brien is passionate about living and working on the Gold Coast. With over 10 years real estate experience in the local area, she is equipped with first hand knowledge about the local real estate market. Anita gives her clients honest, reliable advice about property transactions. Her local market knowledge makes her a valuable assett when it comes to property sales, enabling her to develop marketing campaigns that deliver excellent results. 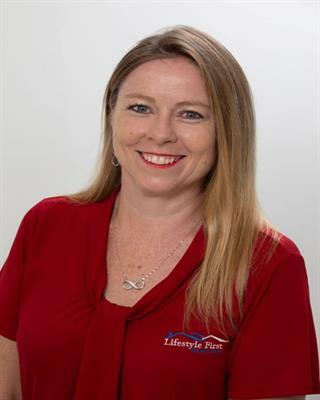 Anita sells properties throughout the Gold Coast, specialising in the southern suburbs including Elanora, Palm Beach, Currumbin, Tallebudgera south to Coolangatta. As a second generation fully licensed real estate agent on the Gold Coast, Anita’s in depth knowledge of the local property market benefits buyers and sellers. Friendly and approachable, Anita can be relied upon to keep her clients up to date with any developments in their sales campaign and she contacts vendors on a regular basis. Known for her dilligence and efficiency, Anita has a reputation for energetically pursuing sales. Results focused, Anita is committed to obtaining the best possible results for her clients. As an active member of the community, Anita is a member of various networking groups and charities including Camp Quality supporting kids with cancer. No matter what stage you are in your life, Anita has vast experience in real estate sales including: the excitement of selling a first home buyer their new home, families upsizing to larger properties, downsizing to units, townhouses or duplexes, sensitive to clients needs deceased estates and retirement villages or mortgagee sales. If you are looking for a hardworking agent who gets outstanding results, contact Anita O’Brien for all your real estate needs.